April is somewhat of a transition month in Gran Canaria: the weather is starting to really warm up and the amount of rain the island sees drops by half compared to March. Easter is usually happening in April on most years and that is the most popular week during the month. Semana Santa is an important period in the Spanish culture, so many Spanish families from the continent will come on holiday to Gran Canaria as well to enjoy the beautiful and sunny weather. The temperatures during the day in Gran Canaria are between 22°C and 25°C, which means that the weather will be perfect for sunbathing on most days. 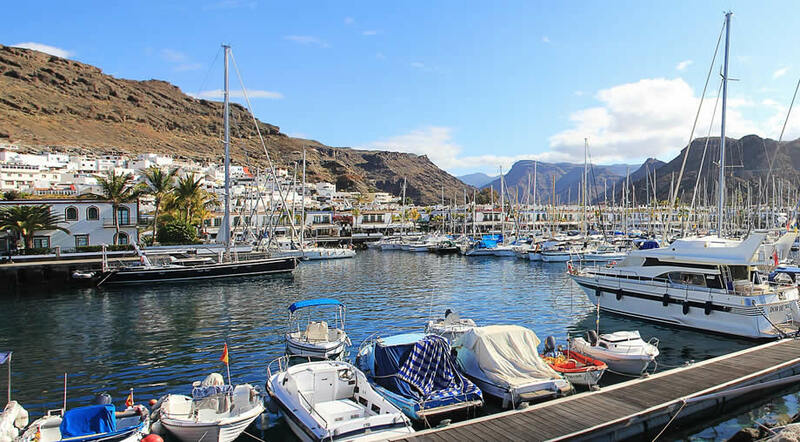 Although the temperatures don't vary much between March and April in Gran Canaria, the weather is considerably improving since it doesn't rain as much, especially in the south of the island. The biggest improvement comes in the form of longer days and more sunshine hours, which means that in April you will be able to enjoy longer hours on the beach, compared to the first trimester of the year. Also, the water temperature is starting to rise, so you will probably be able to comfortably swim in the ocean, especially in the south. But the weather in April in Gran Canaria is not only good for sunbathing, for for walking and hiking as well. It is warm, but not as hot as during the summer months, so you can easily enjoy long walks in nature, without worrying about rain or bad storms. One piece of advice, if you planning to come to Gran Canaria in April during Holy Week and Easter, make sure to book well in advance as prices go crazy during that time. School holidays are the most expensive periods to come on holiday to Gran Canaria, so at least book the airplane tickets in advance if you plan to go self catering. The average high temperature in April in Gran Canaria is around 21°C, while at night you can expect temperatures of around 16-17°C. The highest temperature ever recorded in Gran Canaria in April (at Airport station) was of 34.3°C and the lowest was of 8°C. April can be considered the last of the "rainy" months, before summer gets to Gran Canaria and the rainy days are over. We used quotes when talking about rainu months because in April the amount of rain the island gets is half as much compared to the amount of rain in March. The average rainfall in April is of 6.3 mm and this occurs during 1 or 2 days throughout the month. So, as you can see, it doesn't rain much or often in Gran Canaria in April. Gran Canaria gets an average of 7.5 hours of sunshine per day in April. As long as the sun is out the weather is usually nice and warm enough for T-shirts or short sleeved blouses. The average surface sea temperature in April at the Gran Canaria Airport station is approximately 19.2°C / 66.5°F, which is only a slight increase compared to the previous month. Can you swim in Gran Canaria in April? With an average temperature of 19.2°C / 66.5°F, the ocean might still be too cold for many people, although there are other visitors who swim all year round in Gran Canaria with no problems. If the ocean is too cold for you and you haven't booked a place with a heated pool, there is always the option to ask at the hotels nearby if they have a heated pool and if you can pay to use their facilities for the day. The charm of Gran Canaria is that it's an year round destination and there are many places to visit on the island and activities that are suited for all age groups. April is a busy month around Easter time, but before that it's usually relaxed and quiet, as many of the people who had come here to spend winter, have returned home by now. If you are coming on holiday to Gran Canaria for Easter, then you might want to participate in the events leading to it, which are happening during Holy Week (Semana Santa). You will be able to find the program online at a closer date and you can also ask as the tourism offices. This is a pretty popular hike in Gran Canaria, as it takes only 2 hours to complete. April is warm and perfect for discovering the beautiful nature of Gran Canaria, since in summer it can get very hot and difficult to hike for long distances during the day. Easter Sunday is on April 21st in 2019 and Gran Canaria is a beautiful place to spend the holiday on a family trip. This is a busy time on the island, so if you want to hire a car or have your Easter lunch/dinner at a certain special restaurant, make sure to book in advance. This way, especially with the car hire, you will get a better price than when booking last minute.